Why people buy used instruments at iNNOLEDY? How fast can you sell my instrument? 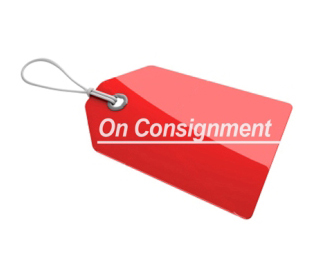 What does your consignment service cost? Why sell your instruments at iNNOLEDY? Great New York City location, •	Huge amount of foot traffic from all over the world. •	Flat-rate offered for selling your used musical instruments •	We have a large community of happy sellers •we have a stellar reputation in the world of single & double reeds. We take all instruments from beginning student through top professional. Don't be concerned about the level or condition. We have customers looking for every level. It may takes 2 days or a few months to sell your instrument. We will do our best but can not guarantee a sale. We would try hard to sell your instrument for as long as you feel comfortable leaving it with us. Consignment fee is deducted from the final sale price of your instrument, after the sale. There is no consignment fee if we do not sell your instrument. Contact us by email at sales@innoledy.com or phone us at (646)801-8646, before you ship your instrument to us. 2) The brand and make of the instrument including its serial number. 3) A full description of the instrument, mentioning its condition, age and any known problems. 4) The price you have in mind, if at all possible. Ship the instrument via UPS 3rd Day Air or Ground, fully insured.